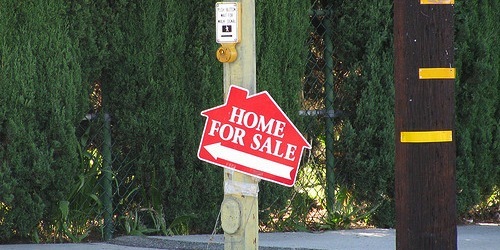 These days, real estate agents love to mention that a particular listing is a “standard sale,” meaning it’s not in foreclosure or in a short sale situation. While this is generally a good thing, largely because non-standard sales can be riddled with red tape and other issues, some properties aren’t as standard as they seem. A particular property is listed for $600,000, which may be deemed high for the street it’s on. It has 3 bedrooms and 2 bathrooms, and below-average square footage for the area. It’s got great curb appeal and looks renovated to some degree inside, but there’s one issue. The comparable sales in the area aren’t very close to the asking price. In fact, many of the nearby similar sales were in the low $400k range. There are a few in the low $500k range as well, but they tend to be quite a bit larger. Anyways, long story short here is that the homeowners may be listing high to avoid a short sale, no pun intended. So this “standard sale” may not turn out to be so standard, assuming no one bites at the current level. Here’s another example of a “standard sale” currently on the market. This one has only been listed for a few days, and looks pretty flawless. The little blurb about the property even starts with, “Standard Sale!” So we know that must be a pretty important detail, right? Well, if you scroll down to the property history for the listing, you’ll notice that it was purchased all the way back on January 10, 2012 for $300,000. And now it’s listed for $470,000. This property was probably in pretty bad shape when it sold the first time, which would explain the much higher price tag now that it’s in excellent rehabbed shape. So, yes, it’s a standard sale, which is great, but it’s also selling for roughly $170,000 more than it was in January. In reality, this listing should say “standard flip house sale,” because the flipper(s) is trying to make a quick, tidy profit. There’s nothing inherently wrong with that, but it’s certainly worth pointing out things like this, especially with the market reality we’re dealing with. This second example could also be expensive for its area now (hello functional obsolescence), which is a legitimate home buyer concern. Tip: Don’t buy the most expensive house on the block.